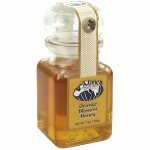 This barrel aged honey is a honey produced by 'free-range' bees, capturing the essence of a region where they can forage tulip poplar, fruit blossoms and black locust in the spring, then feast on wildflowers, herbs and clover in the summer. 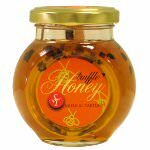 The honey is made in small batches, bottled in 7.5 oz. recycled glass for you to enjoy. 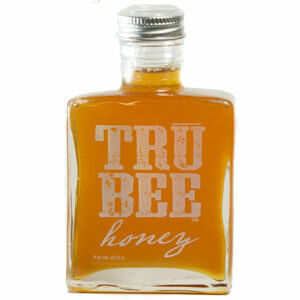 Tennessee based Trubee Honey ages some of their raw honey in charred oak barrel that's been soaked in whiskey by a legendary southern distillery, producing a rich, smokey honey - Barrel-Aged Honey. 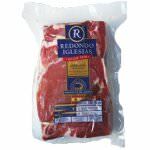 Drizzle some of this Southern gold on biscuits, fish, breakfast oatmeal, or simply in your hot tea.